Danny Lipford, the host of "Today's Homeowner," is a regular contributor to The Early Show. His down-to-earth approach and extensive experience in all aspects of remodeling makes him one of the most sought-after voices in home improvement. Lipford's interest in home improvement began when he was just 9 years old. While in third grade, he bought his first electric jigsaw from a mail-order catalog with allowance money he had saved. He put his natural curiosity into building shelves for his room, a tree house and an endless list of projects around his parent's home. As he grew older, Lipford even remodeled a log cabin that his father had built for him and his brothers as a playhouse when they were younger. The former playhouse soon became Danny Lipford's first workshop. He started his remodeling business when he was just 21 years old. His company, Lipford Construction, soon became one of the most respected remodeling companies in the southeast. In the beginning days of his business, Lipford and one helper did all of the work on his jobsites, from digging footings and pouring slabs to general plumbing and electrical installations. After years of experience and a proven track record, Danny became a Certified Graduate Remodelor, as designated by the National Association of Home Builders Remodelors Council. He has received numerous awards including, "Builder of the Year," "National Remodeler of the Month," and has been voted into the "Big 50" of the remodeling industry. Danny's television journey started in 1988 when he was asked to host a small, live cable show in Mobile, Ala. This small show, "Remodeling Today," eventually evolved into a program shot entirely on his different job locations throughout the area. 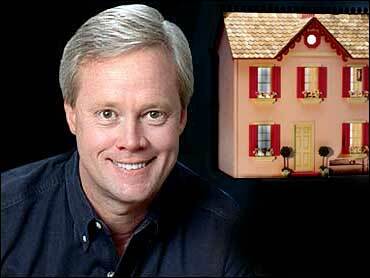 The show became an instant hit and continued to grow throughout the southeast until it became nationally syndicated in 1998 and became "Today's Homeowner with Danny Lipford." The show grew to over 125 stations in less than 6 months. "Today's Homeowner with Danny Lipford" is now in its sixth season, airing on more than 180 stations across the country. In addition to his reports on The Early Show, Lipford makes live monthly appearances on CNNfn's "Your Money" and can also be seen offering daily home improvement tips on The Weather Channel. He has also ventured into print media, serving as the home improvement expert for the Woman's Day special interest publication, "Home Remodeling and Makeovers." Additionally, a weekly call-in radio show hosted by Danny debuted in August 2003. He has appeared on Discovery's "Home Matters," "Fox & Friends" and "Live with Regis and Kelly." Lipford has been married for over 20 years to his wife, Sharon, and has three daughters, who he affectionately refers to as the "3 Echoes." When not taping a show, consulting on remodeling projects, or making appearances, Danny stays busy playing golf, fishing, scuba diving, and coaching his daughters' basketball teams. He still has a hard time trying to keep up with the "Honey Do" list Sharon keeps posted on the refrigerator door. Courtesy of "Today's Homeowner with Danny Lipford."